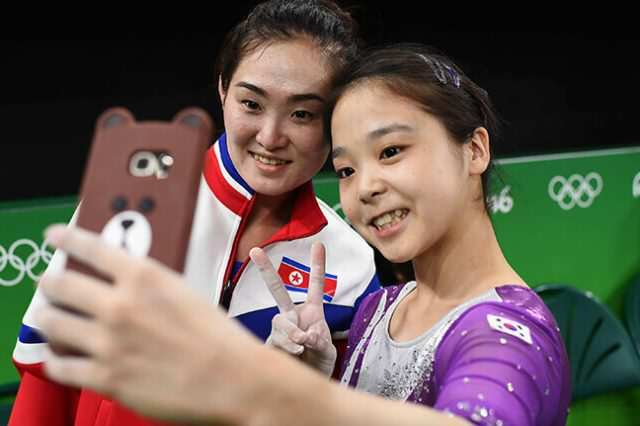 A simple selfie taken by two young gymnasts became the image that defined the 2016 Rio Olympic games. Competitors Lee Eun-ju of South Korea and Hong Un-jong of North Korea posed for a photo together and were caught on camera laughing and chatting together. Shared thousands of times around the world, the image was deemed incredible as their two countries were technically at war. At the time tensions between the North and the South had been endlessly rising with the North threatening to attack and invade countless times. The simple snap became iconic, representing the Olympic spirit and further proving that war is to do with politics and leaders, not the people. However, many were worried about what the image could mean for Hong upon her return to North Korea as the country’s track record isn’t exactly promising. 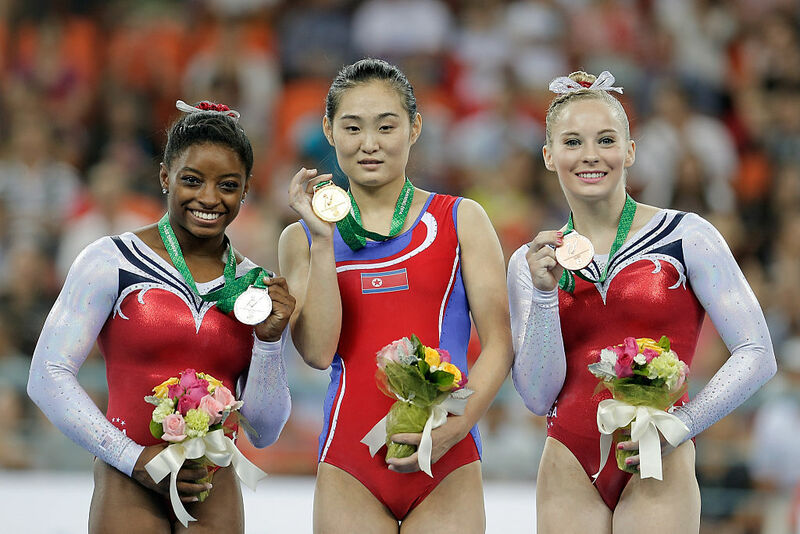 The 28-year-old gymnast was one of the nation’s most successful Olympians claiming gold at the Beijing games in 2008. Hong also won numerous medals at various other international competitions but since the 2016 Rio Olympics she seems to have disappeared from the public eye. Since the famous selfie in fact, she has not competed in a single international competition. 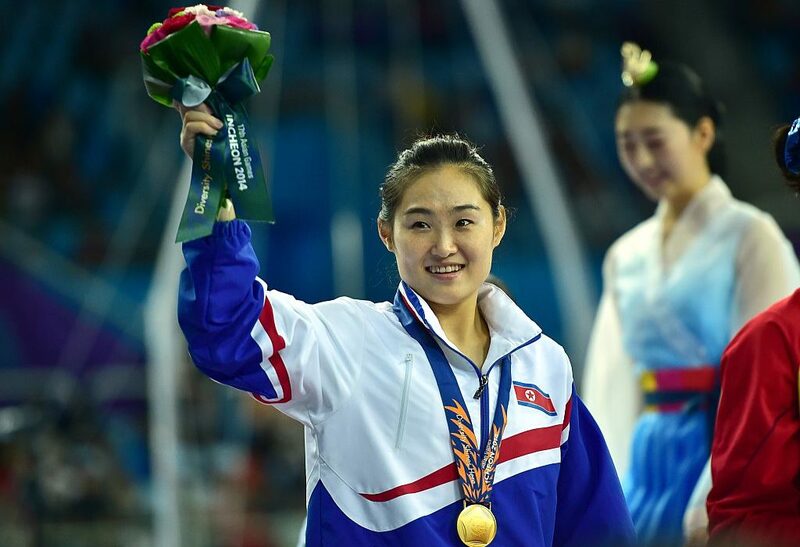 Regarded as a national hero in North Korea after achieving gold in 2008, Hong became the first ever female gymnast in the world to ever attempt a twisting triple vault at the 2016 Olympics. However, her gamble didn’t pay off and ultimately cost her a podium finish. But despite defectors’ claims that North Korean athletes who do not perform well abroad are harshly punished upon their return home, it appears Hong is ‘fine’. Michael Madden, a world-leading expert on North Korea, revealed the news to The Daily Star claiming she wasn’t even singled out because of the photograph. Hong is fine and back to training in the country. She was never singled out or punished for that photograph. She participated in a domestic gymnastics event last year. She will most likely compete at the 2020 Olympics. The next Olympic games are due to take place in Tokyo. North Korean dictator Kim Jong-un is famously a fan of sports, especially basketball and weightlifting. The country’s athletes are trained in state-led camps with the real stars being some of the most highly regarded personalities in Pyongyang’s regime. It is believed Jong-un showers his most prized athletes with gifts including cars and houses.